HSO is a leading provider of innovative enterprise business solutions that improve the results of our clients. Founded in 1989, HSO specializes in implementing, integrating, optimizing and maintaining enterprise solutions based on Microsoft Dynamics AX, CRM and Office365. We are working with multinational enterprises in industries such as Distribution, Retail, Manufacturing and Services. Our international capabilities rely on more than two decades of practical experience, having delivered successful implementations in almost all countries of the world. HSO employs more than 350 professionals and maintains worldwide presence with locations in Europe, North America and Asia. HSO prides itself on its customer satisfaction and was named as the Most Customer-Oriented Microsoft Dynamics partner, with the highest customer satisfaction rating anywhere. Our expertise and pragmatic approach to each customer’s business needs enable us to provide a 100% referenceable solution, supported by a 24-hour helpdesk. HSO also belongs to the elite Microsoft Dynamics Inner Circle, restricted to the top 1% of all Microsoft partners worldwide. Formpipe Software was founded more than twenty years ago in Denmark and specializes with its product Lasernet in leading Document Input and Output Management software. More than 2.800 customers worldwide use the advanced functionalities of Lasernet. Lasernet allows organizations toquickly and easily design, format, convert and distribute all incoming and outgoing business documents in all electronic formats. Lasernet has an unrivaled integration with Microsoft Dynamics AX, NAV and 365. Formpipe Software is aMicrosoft Gold Partner and member of Microsoft’s Technology Adoption Program (TAP). Formpipe Lasernet is sold and supported through a certified network of global partners.Formpipe Software has offices in the Benelux, United Kingdom, Germany, France, Denmark, Sweden, Norway & Finland. In a world where anyone could be your customer is customer knowledge and the ability to respond to it the key to success. BusinessBase understands this like no other and gives you the strategy and tools to yield more value from existing and new relations. Marketing Automation and Customer Intelligence. This is how we get your organisation ready to deliver the optimal customer experience with maximum return. From data analytics to intelligent automated campaigns and from the first point of contact to dealing with a complaint. All competencies under one roof. BusinessBase has a team of over 30 specialists, from analysts to developers. Each of them passionate to optimise your Customer Engagement strategy and Microsoft Dynamics 365 Customer Engagement (CRM) business software, whether it concerns a standard module or custom made solution. We are a Microsoft Gold Cloud CRM partner and ISO 27001 and9001 certified. Craftsmanship. Mprise puts great value in continuous education of their employees. Mprise employees make freely use of the Mprise Academy and each employee is allowed a yearly budget to develop him- or herself through outside training in their area of expertise or in skills. People-orientated. Mprise values people. Mprise believes that its employees are the most valuable asset of the company, because of their knowledge and skills. They cooperate with the key users of customers to add value to software applications. In the end, it is all about our customers’key and end users, because they have to do their job. That is why Mprise ensures that they get the ICT support they need. We do not support business processes in the first place, but we support customer users of Dynamics NAV, AX or CRM applications, focusing on everyone’s responsibilities. Ensior is the Business Intelligence specialist with an extensive and proven track record. For more than 15 years now, we have been ensuring that organizations achieve maximum hold on their business processes and enabling them to access the necessary information in a timely and accurate manner. Through the application of proven BI technology and our knowledge of the underlying processes, we give our customers a competitive edge. Ensior’s commitment to quality and our pragmatic approach underpin our successful reputation in the various industries in which we operate. We offer peace of mind. We give you insights in the performance from your processes and people. As BI specialist we focus on Microsoft BI solutions for our customers. Especially for companies who use MS Dynamics (NAV or AX) we offer ready to use reporting and analysis solutions like Analytics4NAV. These solutions are developed by Ensior based on MS SQL server technology and Power BI. Please visit our stand or listen to our customer case presentation. Since the early nineties over 250 employees have been creating high-end technical solutions for our customers from our offices in The Netherlands and Lithuania. Since then we have evolved into a full service digital partner. We only work with the best people and top notch technology. We’re proud to be an award winning, multiple Gold Microsoft Partner and Platinum Sitecore Partner. Our cutting-edge Azure integration solutions connect your business to your customers, employees, suppliers, partners, and followers. Connecting means pooling your and our specialized knowledge andskills to create a winning solution. By harnessing our talents and powers, we realize true digital transformation. Codit is an innovative IT company which provides next-level consultancy, technology, and managed services to leading brands worldwide. We successfully help companies reduce operational costs, improve efficiency and enhance communication by integrating people, applications, and things. Codit employs more than 180 people in Belgium, France, Portugal, Switzerland, United Kingdom, The Netherlands, and Malta. Since 2000, we have successfully implemented over 500 integration solutions worldwide. 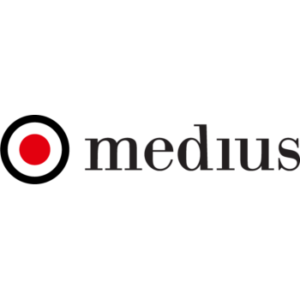 Medius is a leading global provider of accounts payable (AP) invoice automation solutions in the cloud. MediusFlow automates and simplifies the entire accounts payable process, enabling an unprecedented level of truly touchless invoice processing, shortened lead times, greater control, and improved visibility of financial metrics. The company has over 2,500 customers worldwide, for example Marc Jacobs, Tikkurila Toyota, Elekta, Prenatal and Intersport processing in excess of 52 million invoices annually, with a high density in the retail and manufacturing sectors. We offer the shortcut to e-commerce. How? Through 100% seamless integration with SAP and Microsoft Dynamics. Our e-commerce solution leverages existing business logic and data in powerful and user-friendly web stores. This lets our clients focus on improving customer experience, streamlining sales processes, and increasing sales volume and frequency. Sana Commerce is a certified partner of Microsoft Dynamics and SAP. Our innovative approach and strong partner network make Sana the driving force behind over 1,200 web stores worldwide. Because of our experience and expertise, we can go all the way, offering not only a product but also supporting services such as online marketing, Search Engine Optimization (SEO) advice, hosting, design and online payment providers. KPMG Crimsonwing is an international business & IT solutions provider that supports organisations in business transformations enabled by technology. Our work focuses on Enterprise Resource Planning (ERP), Customer Relationship Management (CRM), eCommerce and ITintegration. Using our business and IT expertise we can help automate and transform organisations with the established business technology solutions of Microsoft and a wide range of professional services. KPMG Crimsonwing consists of more than 500 skilled employees, offers 24/7 support services and has a near-shore centre in Malta. Together with KPMG’s global network of member firms clients can benefit from a broad professional palette of business services, enabled by technology. Improving Customer Experience and Service Management with Virtual, Augmented and mixed reality provides your customers and employees a new dimension of work. For example, new ways to interact with your employees to predict an upcoming malfunction in the machinery park of the customer or to give them instructions when you are miles away yourself. Companies Recreate worked for are: Dura Vermeer, Thales, Plegt-Vos, Skantrae, Ter Steege Pottery, ITM Group, Altrex, Verosol, Waterschap Vechtstromen. Hillstar specializes in transforming data into actionable insights with Power BI. We develop role driven analytics to improve performance. We believe that it’s not just tooling that will make your BI-project successful. It’s a way of thinking and working. We help you become a data-driven company to answer complex business questions. With our ‘of the shelf’ BI solution for Microsoft Dynamics AX, NAV and D365 FO and Business Central we can implement a complete environment in a short period of time. By combining ERP, WMS and for instance CRM, you get that 360 degree picture you are looking for. Over the last eighteen years, ISProjects has grown into the largest independent supplier of Procure-to-Pay solutions in the Benelux. We develop smart software for invoice processing, expense claims, procurement and contract management, amongst other things. We take care of the development, sales, implementation and support of all our products. That way, we guarantee the very best quality and support. We now do that for over two hundred organisations. Adobe Experience Cloud data transactions grew to 97 trillion in Q2. More than two-thirds of Fortune 500 companies use Adobe Experience Cloud today, including 10 out of the 10 largest corporations and financial services companies in the U.S., and 9 out of the 10 largest media companies in the world. 60% of Adobe Analytics transactions come from mobile devices. 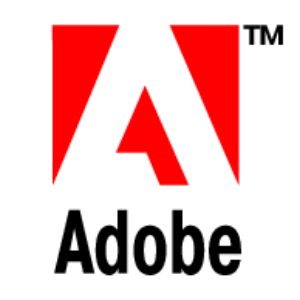 * Industry analysts have named Adobe the leader in nearly 20 categories, such as Web Content Management, Digital Marketing Analytics, Digital Commerce, Marketing Cloud Platforms and more. To excel as an organization and stay ahead of competitors, it is necessary to engage customers fiercely, optimize processes well, encourage employees daily and transform products continuously. Is your organization geared to this? Microsoft’s strategy of a complete business solution with business apps in the cloud prepares you for the future. Microsoft Dynamics 365 includes apps with built-in intelligence that are based on ERP, CRM, Office 365 and Azure. Every app brings insights with which you can solve real problems and provides tangible results. But only if you combine them, do you really have the power and possibilities to transform your business. As an all-round Microsoft partner, emboldened by three decades of solid experience and know-how in the field of IT innovation Prodware has always thrived on delivering value and expertise to our customers worldwide. Whether enabling ambitious cloud strategies, driving business process improvement with ERP & artificial intelligence driven decision-making tools or increasing customer engagement with CRM software & IoT. Prodware keeps paving the way to innovation. Prodware has embraced technology advances and breakthroughs helping companies step into the future by building the business models of tomorrow. Let us determine your roadmap so that you are ready for success.